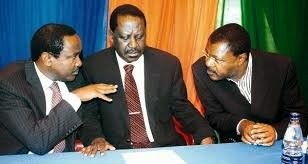 Cord leaders across the Country have dared rebel ODM MPS from Coast region who have threatened to ditch the party following the sacking of Cord Whip Gideon Mung’aro. The leaders were reacting to a resolution reached by some Cord MPs that they were planning to defect to Jubile and seek fresh mandate from the electorate. The resolution to ditch Cord was reached at during a charged political rally at Kibaoni in Kilifi. The rally was attended by 11 MPs, some from the ruling Jubilee coalition, former Cabinet Minister Chirau Ali Mwakwere and Suleiman Shahbal, who lost the Mombasa gubernatorial race in the last election. 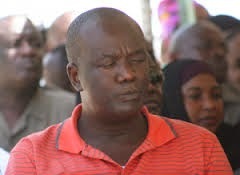 They condemned the removal of Malindi North MP Gideon Mung’aro as CORD’s Minority Whip in the National Assembly. But Mung’aro in a quick rejoinder said he still respects ODM leader Raila Odinga, but blamed his political woes on Mombasa Senator Hassan Omar. 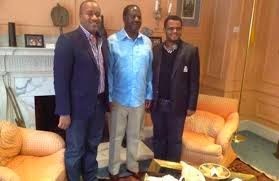 He claimed forces within CORD were using the Mombasa Senator against him. During the rally, the crowd booed speakers who directed attacks on Raila and CORD and those who linked the Opposition coalition to insecurity across the country. Mung’aro and Lunga Lunga MP Khatib Mwashetani said they are ready for by-elections if kicked out of the CORD coalition, even as Kilifi County MP Aisha Jumwa declared she would remain in ODM but work closely with Jubilee. Conspiciously absent were Kilifi Governor Amason Kingi and area Senator Stewart Madzayo. The rally was attended by MPs Suleiman Dori of Msambweni, Julius Ndegwa (Lamu West), Athman Sharif of Lamu East, Mustafa Idi of Kilifi South,Peter Shehe (Ganze), Zainab Chidzuga (Kwale County), Aisha Jumwa (Kilifi County) and Khatib Mwashetani (Lunga Lunga).